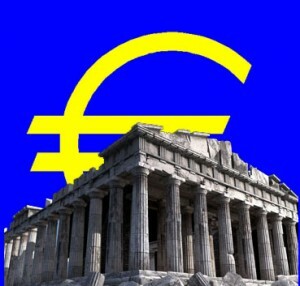 Spain offers 2 billion euros to help rescue Greece | Marbella Marbella – Adelante! Despite its own looming economic crisis, Spain has offered to pay 2 billion euros to the joint E.U./I.M.F. rescue package being assembled for the Greek economy and, by extension, to strengthen the euro. Prime Minister José Luis Rodríguez Zapatero defended the plan and said that Spain could give ‘some 2 billion euros’, reminding commentators that the money was not a gift, but a loan to be returned with interest. The Spanish Minister for Tax and the Economy, Elena Salgado, confirmed later that ‘Spain would supply the part it has agreed to’ for the Greek rescue. The plan will come into effect only if Greece fails to re-finance its own debt. As the French put it, the fund would have ‘European dominium’ and ‘will be completed’ by the I.M.F. The news was welcomed by traders, who took the IBEX 35 back over the 11,000 level after several days of decline, ending Thursday up by more than 2% at 11,091. However, Mariano Rajoy, leader of Spain’s conservative opposition Partido Popular, was quick to criticise the Spanish contribution, saying that there was no extra money in Spain, and that such a matter should be debated in Congress so that the opinion of the people could he heard.